Blue Velvet is a strange, strange movie. Well, of course...this is David Lynch, right? But no, it isn't strange like his other movies. Those are unique and uncanny and surreal, but they connect on a dream level, appealing to subconscious tics you didn't even know you had. Not Blue Velvet, at least not for me. I first saw it five years ago, shortly after Mulholland Drive and I couldn't figure out why it was considered the superior film. Its dark-side-of-suburbia theme seemed trite and old-hat, and its surrealism paled in comparison to Mulholland Drive's ethereal atmosphere, which you could sink into and lose yourself. What redeemed its classic status was Dennis Hopper's madcap performance, lurching out of the screen and shocking in ways timeless and indestructible. Other than that, why was Blue Velvet David Lynch's masterpiece? Now, on my second viewing, new thoughts emerge. One: this is Lynch's Breathless; it's the film for people who don't like the rest of the director's oeuvre. Blue Velvet is what you'll find on critics' top 100 lists; it's the token Lynch, or the token surrealism, or even the token avant-garde (just as Breathless frequently appears on the same lists, in lieu of stronger Godard works like Masculin Feminin, Alphaville, or Week End). Yet I think that Blue Velvet, like Breathless, may be a great film after all - you just have to leave the accumulated baggage at the door. Breathless is constantly praised for its "groundbreaking" qualities (if I have to read about those stupid jump cuts one more time, I'll throw my computer out the window) when in fact those very elements were improved and developed in later Godard films. But if you throw out all the "influential" garbage talk (a film is primarily "influential" when there's nothing else interesting to say about it), what remains is a uniquely charming, idiosyncratic, and enjoyable film. Go with the flow instead of trying to take it apart, or seeing it as part of some great pantheon, standing for something. Only then will it yield its charms. So with Blue Velvet, though "charms" hardly seems the appropriate word. Blue Velvet is often portrayed as both a classic deconstruction of American picket fence myths and a prototypical tour of Lynch's peculiar and unique world. But this is a misleading way to set up the film. Firstly, Blue Velvet's world isn't really suburban at all. If anything it's "small town," yet it doesn't fit squarely into Norman Rockwell land either. The town center is full of tall brick buildings which aren't exactly warm and welcoming and even the brightly lit house's interiors have a cold, hollow quality. Something is empty and alienating from the get-go and so the myths that Lynch supposedly wallows in before puncturing them with Hopper's psychosis are never really there. The film, despite being at least partially set in a world of lumber yards and homes with front lawns, has a weirdly urban feel to it. As far as being a gateway to Lynch's universe, I don't know about that either. 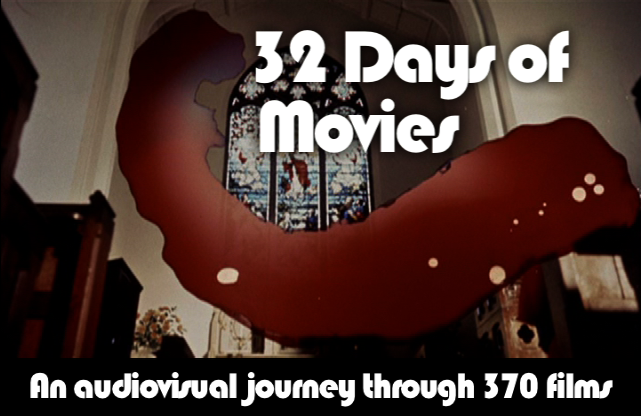 The movie is more restrained than much of the director's later work. Angelo Badalamenti goes lightly on the synthesized melodies, preferring a subtly tinkling piano. Most of the movie is composed in classic, steady compositions, medium two-shots that recall the early days of the widescreen format. Even the abrupt use of slow-motion and flash cuts feel like grace notes. The storytelling is more economical than Lynch's increasingly byzantine narratives (often culled from much longer material): for example, Jeffrey (Kyle MacLachlan) shows up in town, briefly visits his father, and finds that famous ear in the field all within eight or nine minutes of the film's start, hardly speaking any dialogue in the meantime. Perhaps most distinctively, Blue Velvet lacks the dreamy quality of "Twin Peaks" or Mulholland Drive. It does have the appearance of a nightmare, but a kind of sickly, feverish nightmare, not one that taps into the collective unconscious. Put another way, the movie is far more Freud than Jung. I haven't seen Lost Highway or Inland Empire but per my understanding, they too crackle with mystical overtones and spiritual depths. Above all, Blue Velvet is firmly secular - this is partly where that paradoxically "urban" quality comes from, and it helps explain the sickly, hollow feel that those bright interiors exude. It also may explain why so many cultural critics embrace this film above all the others; it's the least TM of Lynch's works. The classic auteur Lynch most resembles in directing Blue Velvet is Bunuel (who truth be told is my least favorite of the Old Masters) he of the sunshine surrealism and determinedly materialist outlook. And as such, I've found Blue Velvet hard to get into, to the point where many passages leave me cold, which doesn't usually happen with Lynch. Yet when pursued down its own secular, feverish, depressive rabbit hole, the obstinate distancing of Blue Velvet yields to a fascinating texture and mood. Here's another word for Lynch's sensibility in this film: Beat. This is cool slow jazz, terse deadpan prose, sparsely decorated rooms (like the one in which Frank conducts a party, in the film's most arresting passage). The film holds you at a distance, but if you can get through to its inner life, you'll find it contains a sadness that is not poignant but corrosive. Dennis Hopper as the sadistic Frank yells and curses and gnashes his teeth and beats up Dorothy (Isabella Rossellini) but it all seems to be in a kind of existential fury, close in kin to the existential sorrow that Jeffrey comes to feel. Frank cries while watching Dorothy perform, and again when a friend lip-syncs to Roy Orbison, but then he lashes out in frustration. He's weeping because he can never truly visit the pristine worlds suggested in these songs (the Orbison song is "Only in Dreams"); the world surrounding him is ugly and cold and above all empty. There's nothing pinning these people down, they're in free fall, and the film's conception of good cheer and small-town values, to the extent that these qualities exist at all, is paper-thin. 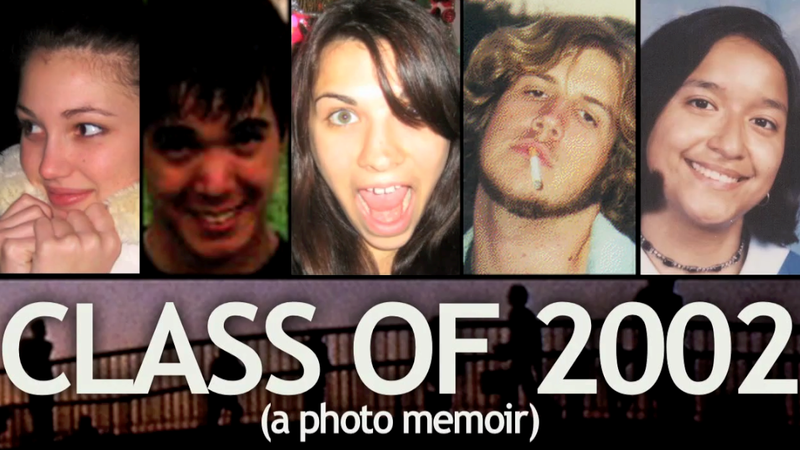 All that's really real is Frank's rage and Dorothy's sexual masochism and Jeffrey's aching emptiness. That said, I'm not entirely sure the film is intended to be so pessimistic. To be fair, there's some engaging, unusually endearing chemistry between Jeffrey and Sandy (Laura Dern). When he wants to, Lynch can make wholesomeness attractive instead of sticky-sweet or bland as it usually is. On this viewing it was Dern's ever-blushing, radiant performance that most held me in thrall (at least until the depressing Frank/Orbison party two-thirds in). If the movie holds forth any hope for goodness and purity, it's all in her. After listening to Jeffrey's desperation after encountering Frank and Dorothy, Sandy tells him about her dream: their world is shrouded in darkness and then the robins come, bringing love. At film's end, a robin perches on a branch outside the window holding a bug in its mouth. Is it a moment of triumph, the robin of love having captured the bugs we first see after Jeffrey's father suffered a stroke in the first scene? An ironic moment of darkness in which this symbol of love is revealed to be part of the all-encompassing evil too? Or is it just a resigned acceptance of duality, that the good will always come with the bad? Though I suspect Lynch favors the last answer, I have to admit that Blue Velvet left me with a far darker feeling. Nothing, save for fleeting moments of Sandy's warmth (which seems destined to fade and fold) takes any hold except for the rancid, nihilistic, desperate ennui of Frank. The film ultimately feels so strange not because it taps into our unconscious or illuminates the reality "behind things" but because it reveals a world which is empty, devoid of meaning, a netherland of chaos in which human beings flail about helplessly like the bugs we see crawling in the dirt under those perfectly manicured lawns. 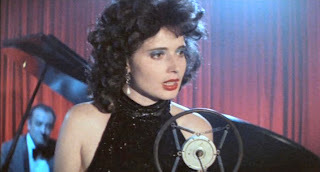 I think that when you put "Blue Velvet's" release into context, it might clarify some things. -Lynch had spent much of his early life growing in the Pacific Northwest and North Carolina (where "Blue Velvet" was filmed). -"Eraserhead" had been an underground success, but it took many years to complete. 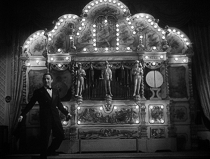 The movie was also notable for being one of his more surreal films, which Lynch himself admits depicted the trauma he felt after moving to industrial Philadelphia for Art School. -"The Elephant Man" was a more grounded film that still utilized surreal elements, but certainly not to the extent he's become known for. His first mainstream film, he was no doubt under a microscope, but succeeded in getting a few Oscar nominations. -"Dune" had interesting ideas, but was such a mess. Whether due to his inexperience with a big-budget film or the studio's fault for interfering in post-production, a trend starts developing which we'll see over and over in his work. When given free rein, his films have a more surreal quality, and more interesting ideas, but are less effective in their execution than his more restrained films. "Blue Velvet" was his next film and gave him an opportunity to prove he could stay on script, on budget, while still creating a distinctly personal work with a dash of the surreal he's known for. He again revisited the theme of beautiful facades covering the darker aspects of life. But he does not ignore his personal vision. -"Velvet" can be read as a surreal dream that begins at the moment that the camera closes into the ear found in the empty lot, and ends in the pullback from Jeffrey Beaumont's ear at the denouement. -Like in "Fire Walk With Me" there is a relationship with electricity and evil, i.e. Frank twisting the light bulb off and saying, "Now, it's dark," or the brief surge of a street light when Jeffrey starts getting a grasp of the depth of depravity that lays just under the surface in Lumberton. -It is cut from the same cloth as his earlier films, where there seems to be a conflict between the naural and industrial, hearkening back to his traumatic time in Philadelphia: "Eraserhead" through "Twin Peaks" & "Wild At Heart". FWWM marks a transition point where he increasingly becomes obsessed with the duality of self as personified in a female protagonist. This begins to manifest itself as a comment on actresses and the Hollywood lifestyle. Like Laura Palmer (small-town girl caught up in the glamour of her nightlife), Lynch's protagonists in "Lost Highway", "Mulholland Drive", and "Inland Empire" are all actresses leading an increasingly schizoid life. -"The Straight Story" is an anomaly, his Disney movie to prove he can still cut it as a mainstream director. But notice he again revisits nature v. industrial, as Alvin Straight shows humility by driving a tractor to go see his dying brother, because he is not allowed to drive a licensed vehicle any longer. He must submit to the tractor's limitations to arrive at his goal. I believe "Blue Velvet" is one of the best examples of his work, and one of his least self-indulgent. Blue Velvet is definitely a more restrained, less indulgent Lynch (though I kind of like it when he's indulgent), and stylistically the other work it feels closest to is, I think, the Twin Peaks pilot, which I'll be reviewing shortly. Blue Velvet is a little more colorful and "cinematic" but both Twin Peaks and Blue Velvet hold us back just a bit, more than Lynch would do in later Peaks episodes and later movies. One of the things that most annoys me about Lynch detractors is when they call him a "bad" director. 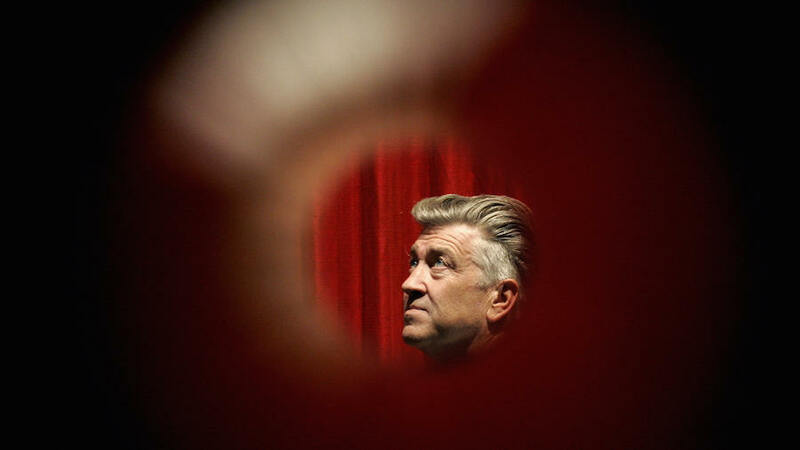 If surrealism's not your taste, fine, if you think he lets things meander or remain too obscure, fine, but Lynch is a consumate craftsman and any self-described film buff ignores that at their own peril. 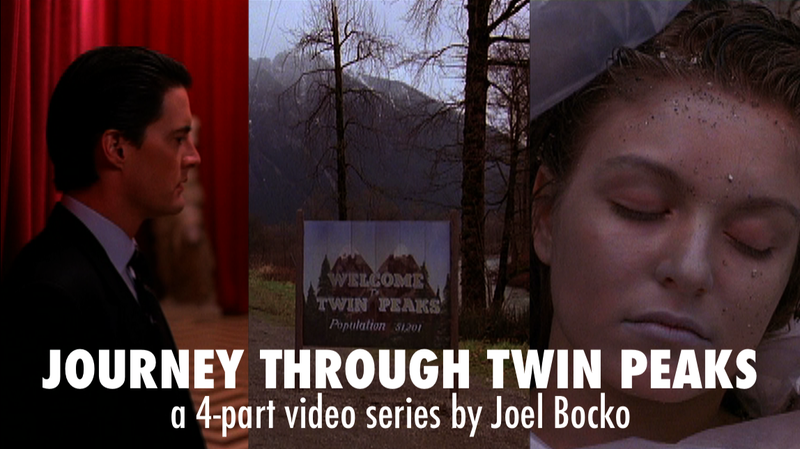 I put up a post about Twin Peaks in context recently (linked to your comment, too) that you might find interesting. 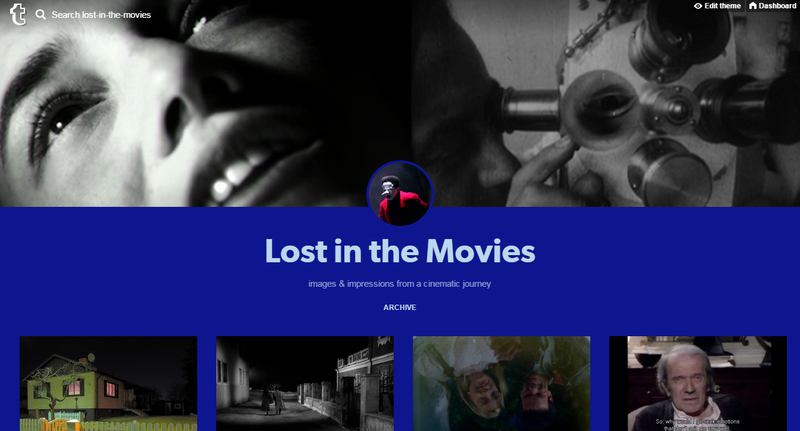 I wrote it after watching the bonus features and hoped it would start some discussion but I'm realizing that the early weekend is kind of dead time in the blogosphere and unfortunately some good entries have been getting lost in the shuffle. Yes, I avoid blogging on weekends. Not too mention, one must rest and replenish.